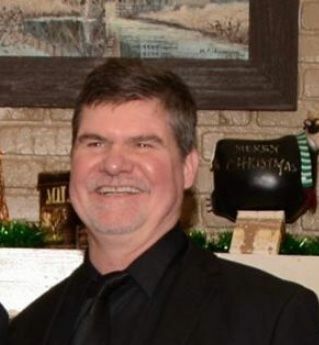 Obituary for William R DeShone | Hartzler-Gutermuth-Inman Funeral Home Inc.
William R. “Bill” DeShone, 55, of Elkhart, died unexpectedly on Wednesday, October 11, 2018 at East Lake Nursing and Rehabilitation Center in Elkhart. Bill was born October 11, 1963 in Elkhart to Harry and Janet (Johnson) DeShone. He was preceded in death by his mother, Janet and two sons, Harry William DeShone and William Victor LaPierre-DeShone. On August 19, 1989, Bill married Tracy F. Payne. She survives along with a son, Malcolm “Mac” DeShone (Sage), a daughter, Samantha Lynn DeShone, father, Harry DeShone, sisters, Maxi Adams (Steve), Stacy Fisher (Kevin), brother, Troy DeShone (Janine), sisters in law, Lee Ann Troyer, Beckie Hall (Tim), nieces, nephews, great nieces, great nephews and his Heinnie’s family. Bill was a member of St Vincent De Paul Catholic Church and the Knights of Columbus. He was co-owner of Heinnie’s Back Barn Steakhouse, a 4th degree blackbelt, a “rock star”, and accomplished bass player. His devotion was to his family and being a role model to his nieces and nephews. Visitation will be Wednesday, October 17, 2018 at Hartzler Gutermuth Inman Funeral Home from 3-8 PM. Mass of Christian Burial will be Thursday, October 18, 2018 at St Vincent De Paul Catholic Church at 10 AM. His remains will be placed in a niche at Rice Cemetery. Memorial contributions may be directed to St Vincent De Paul Catholic Church.